Black Legion Red Intrepid Pocket Knife - Black and Silver Stainless Steel Blade, G10 And Metal Handle, Assisted Opening, Flipper And Thumbstud | BUDK.com - Knives & Swords At The Lowest Prices! 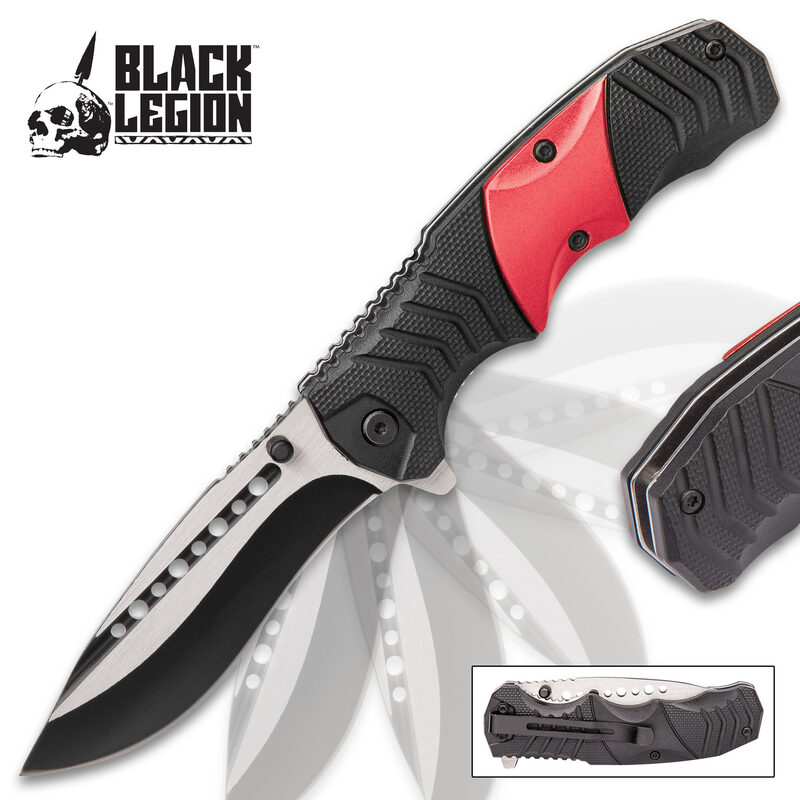 The Red Intrepid Pocket Knife from Black Legion will be your constant companion on every adventure you undertake. It is one of those knives you know you can just depend on to get the job done - no question! The keenly sharp, 4” black two-toned 420 stainless steel blade has a big and beefy belly for plenty of cutting power and the blade features through-holes. You can deploy it as quick as necessary with the assisted opening mechanism, using either the flipper or one of the thumbstuds on the blade. 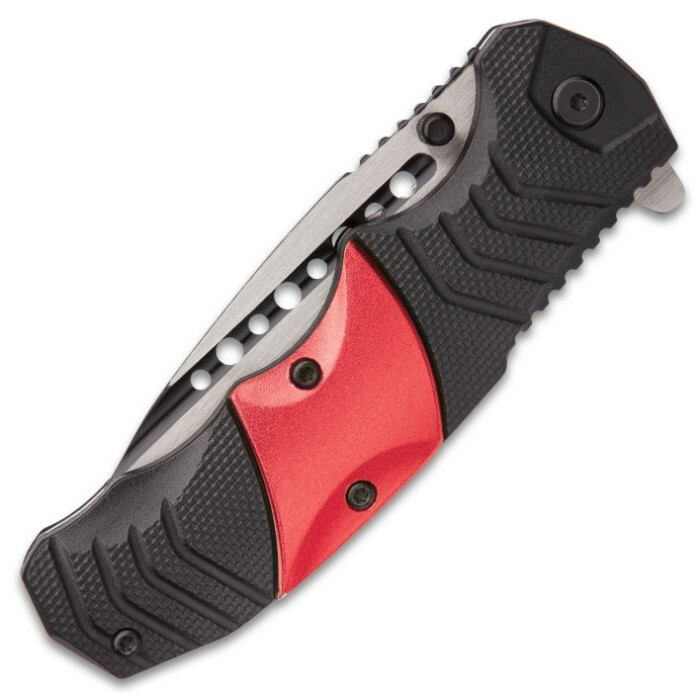 The pocket knife has an ergonomic black, ribbed grip handle which is constructed of G10 and features a red metallic accent plate. 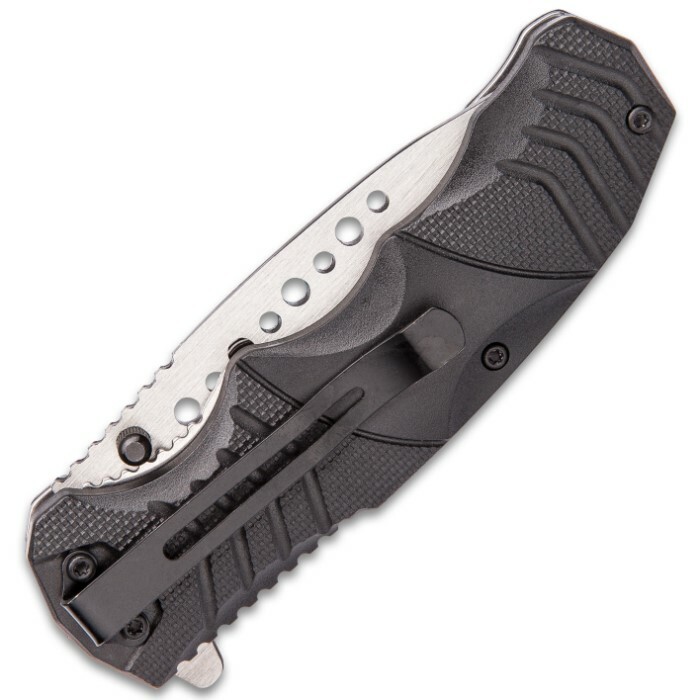 A sturdy, metal pocket clip gives you an easy and convenient carrying option. Great knife! Actually better then the picture! Very good Quality! A great deal on the Price!